Denim caps for men are the perfect addition to any man's wardrobe, since they are not only durable, but also comfortable. 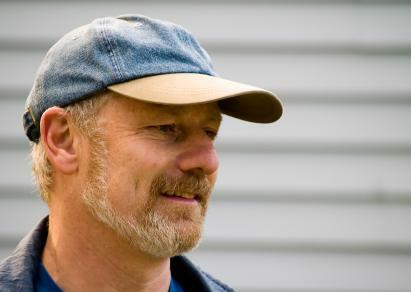 Caps are a popular accessory for men, and many men will not leave the house without a cap on their head. A denim cap is a great staple to have since it will not only match any casual outfit you pair it with, but will be extremely comfortable and durable as well. Denim is not just for pants or shirts; it is a great material to use for caps, too. Many denim caps for men come plain while others come with logos printed on them. There are even caps printed with various company or business names on them that are used for promotional purposes. They also come as fitted hats or adjustable styles. Just as there are varying styles, denim can be different colors as well, ranging from light blue to indigo and even black or white denim. Denim caps can be found online at many retailers as well as in department and specialty stores. Often they are mixed in with other hats so finding one in a store may not always be easy. Check out the following online sites for a wide variety of denim caps. Duluth Trading Co. sells denim caps for men. Their denim is blended with tough aramid fiber making it extremely durable and almost indestructible. It is the perfect hat for work or play and is machine washable. It has a shapeable visor, soft wicking headband and adjustable back strap. Sportsman Denim Engineer Baseball Cap made from cotton denim, fashioned like a train engineer's cap. The Denim Newsboy Summer Cap is made from cotton denim and is a fun alternative to a baseball cap. Washed Denim Hat with Suede Visor is a six-panel style hat. It has a 3" unstructured relaxed crown and fabric strap with brass buckle and brass eyelets. Pro Style Denim with Suede Hat has a seamed front panel with full buckram, six embroidered eyelets matching the front visor color and pro stitch on the hat's crown. It also has matching color cotton twill under the visor and a genuine leather adjustable strap with brass buckle and brass hole insert. Washed Denim Hat is made from light blue denim and is a classic-style structured baseball cap. It has a mid-profile and six-panels with a pre-curved visor. It also has fabric straps with an antique buckle and slot in the back of the cap. Washed Pigment Dyed Cotton Twill Low Profile Pro Style Cap is a six-panel baseball cap with a low profile, pro style. It has an unstructured, soft crown and is low fitting. Other features of this cap include a seamed front panel without buckram and six embroidered eyelets matching the crown color. It also has matching fabric under the visor and on the fabric sweatband. It has an adjustable strap with brass buckle and button hole insert. Washed Denim with Navy Visor Cap is a six-panel mid-profile hat with a suede visor. It has a self-fabric strap with antique brass buckle and strap slot and comes in one size fits all. Denim caps are one of the most versatile styles of hats for a man to own. They can be worn for work or play and can be paired with just about anything in your closet. They look great with a t-shirt and a pair of jeans and just as good with a denim shirt and a pair of khaki pants. One of the best things about a denim cap is that it gets better with age. Once the denim is broken in, it will be one of the most comfortable items you can put on your head!